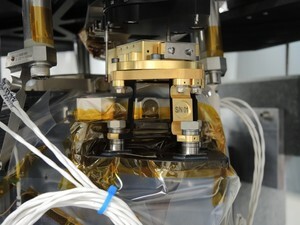 Welcome to the web site of the Colour and Stereo Surface Imaging System (CaSSIS) built at the University of Bern. 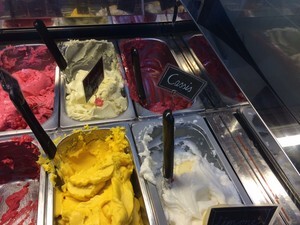 All you need to know about CaSSIS can be found on these pages. 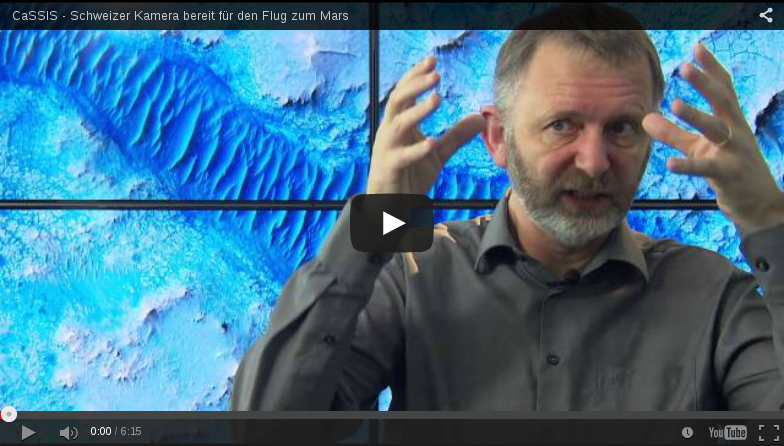 Are you looking for information about the ExoMars Trace Gas Orbiter mission to Mars CaSSIS is a part of or learn more about CaSSIS itself please visit the instrument page. Should you be interested in the science that will be done with CaSSIS or want to download data (when they come in) to do science please visit the science page. If you are seeking media information you will find information on the press page. Would you like to contact us and learn about our team then the about us page is your destination. Finally, you can use the images released here but under the Creative Commons Licence (CC BY-SA 3.0 IGO). CaSSIS images should be credited to ESA/Roscosmos/CaSSIS and other images on the site are Credit: Uni Bern. Thanks to the committee of the Ninth International Mars Conference in Pasadena for choosing a CaSSIS image to advertise their meeting. Uni Bern and the CaSSIS team will be in attendance! Jason Perry of the University of Arizona has been producing anaglyphs from CaSSIS geometrically rectified data. Here is a lovely example from the Hellaspontes region. Use red-blue stereo glasses to view it. This is a colour anaglyph. 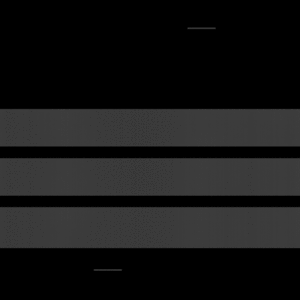 The ratios of the colours support assessment of the surface composition. The team had a science team meeting in London. 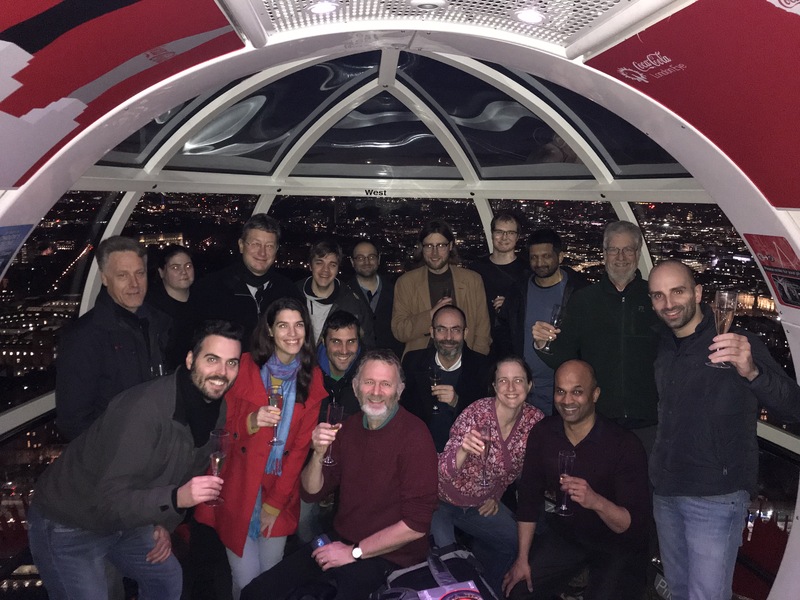 The social event was held at the London Eye. 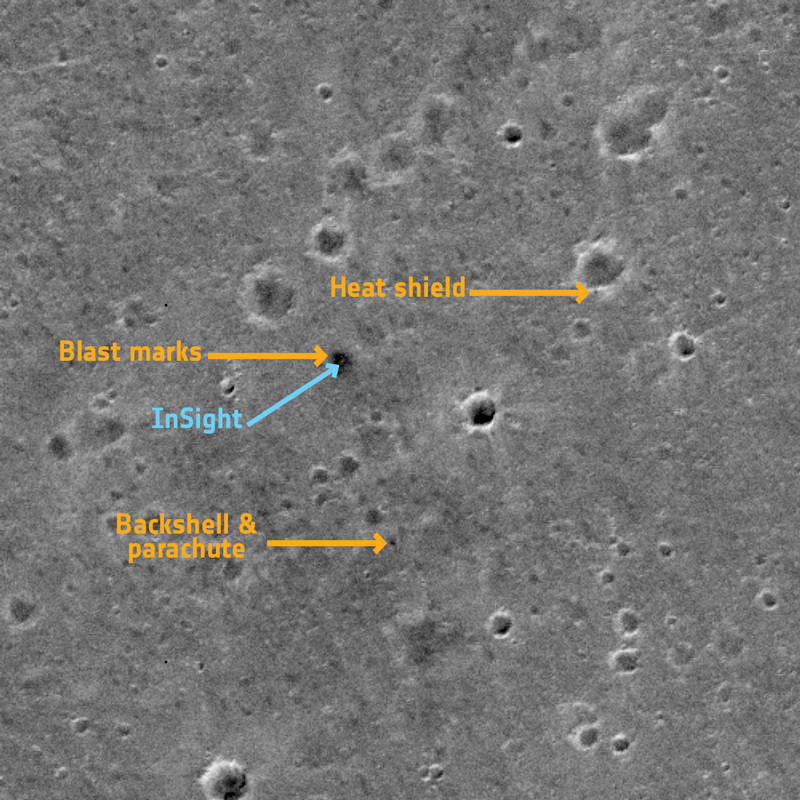 Amongst a new showcase of images from CaSSIS on ESA's Image Gallery, there is an image of NASA’s InSight lander – the first time a European instrument has identified landed assets on Mars. he panchromatic image presented here was captured by CaSSIS on 2 March 2019, and covers an area of about 2.25 x 2.25 km. At that time, InSight was hammering a probe into the surface in order to measure heat coming from inside the planet. 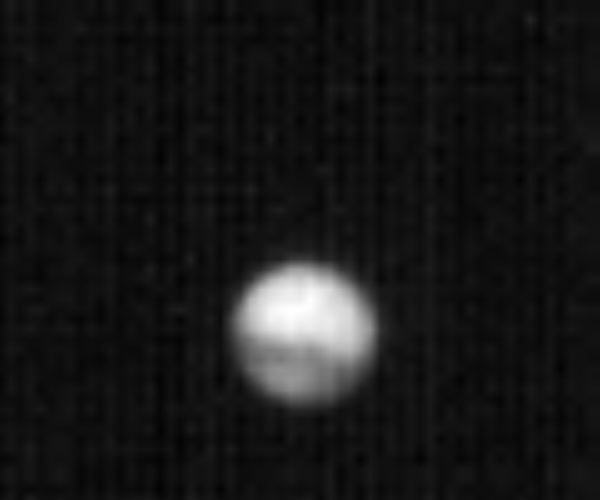 CaSSIS shows InSight as a slightly brighter dot in the centre of the dark patch produced when the lander fired its retro rockets just before touchdown in the Elysium Planitia region of Mars. (It is slightly blue in the noisier colour image we decided not to publish). The heat shield released just before landing can also be seen on the edge of a crater. 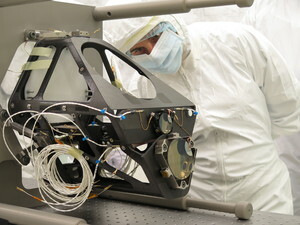 The backshell used to protect the lander during descent is also identified. We have released some example images through ESA's gallery today. 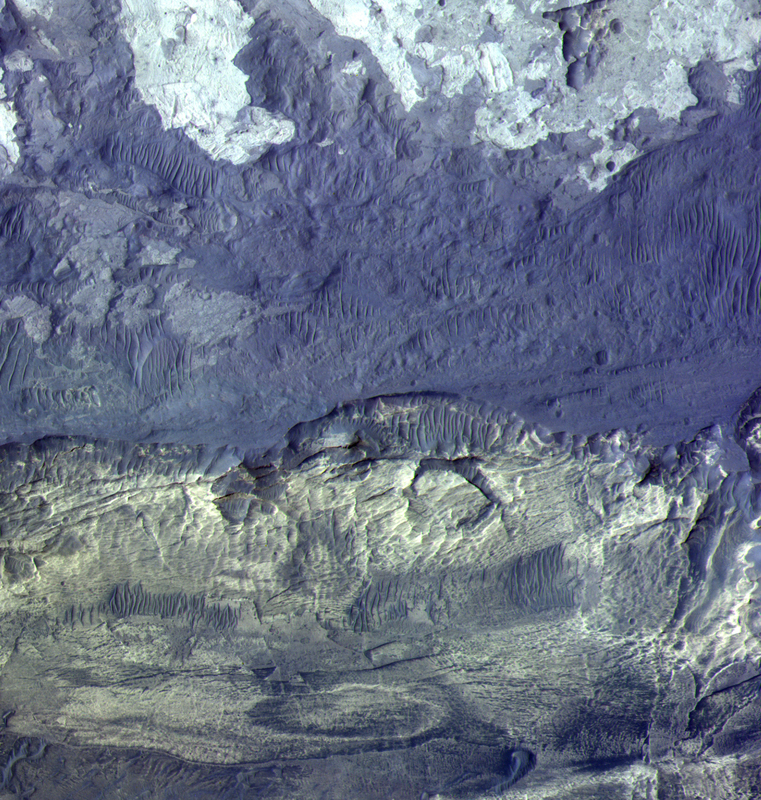 Here is an example of a colour composite from Ius Chasma. Looking good here but the dust storm is very evident. Currently more than 80% of our images are being affected by the dust storm. We may have to wait until mid-August before things clear. The poles of Mars have huge ice caps that are similar to Earth's polar caps in Greenland and Antarctica. These caps are composed primarily of water ice and were deposited in layers that contained differing amounts of dust depending on the Martian climate during deposition. 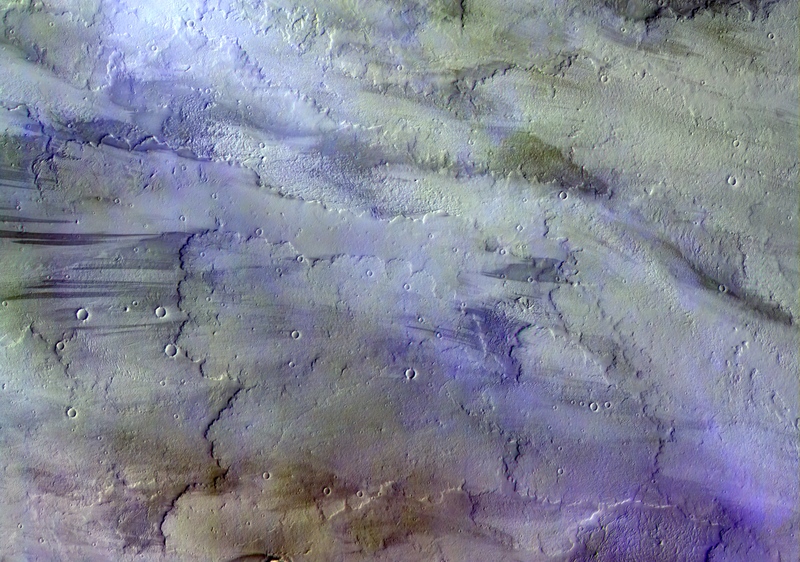 We therefore refer to them as the Martian Polar Layered Deposits (PLD). Thanks to massive canyons that dissect the PLD, we are able to use orbital imagers to view the layered internal structure. CaSSIS is able to view the margin of the South PLD, which extend as far north as 70ºS. 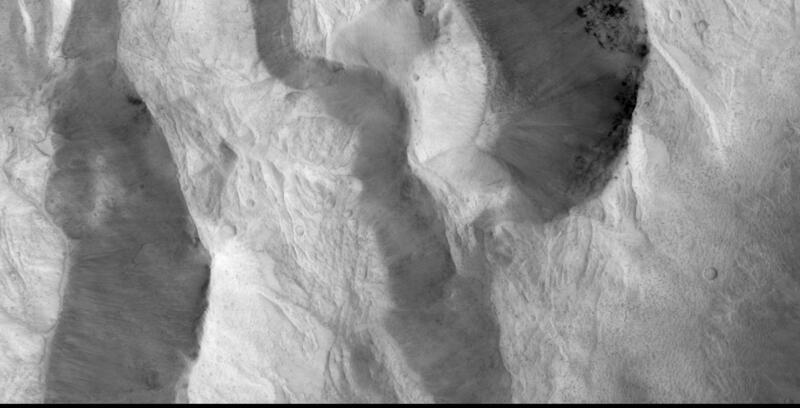 Here, CaSSIS has captured remnant SPLD deposits within a crater close to this margin. 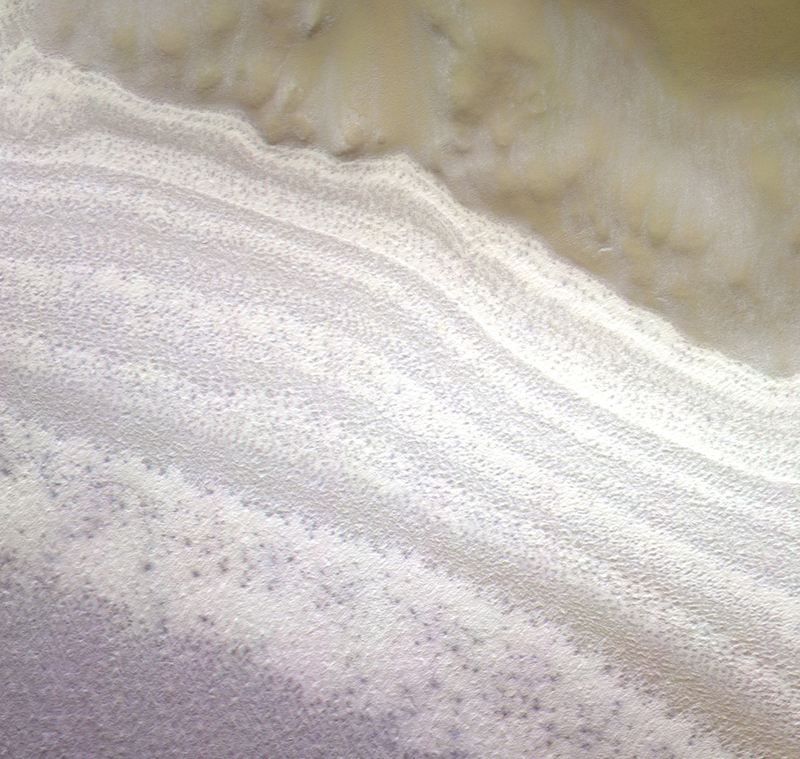 The beautiful variations in colour and brightness of the layers are visible through CaSSIS colour filters, which highlight the bright ice and the redder sandy deposits toward the top of the image. This image is from the rim of Koralev crater (165.9 E, 73.3 N) at 5.08 m/px with a ground-track velocity of 2.90 km/s. The solar incidence angle was 76.6 deg at a local solar time of 07:14:11. The CaSSIS test images have looked pretty good so far - even at low Sun. We do have a problem with an Error Detection and Correction (EDAC) software in the instrument which we are trying to solve. CaSSIS detects this and re-boots itself when that happens. The spacecraft doesn't like that!! We are working with ESOC in Darmstadt to find better ways of dealing with the issue. Should be manageable in the short term with a fix due to be ready in a couple of weeks. The upload of the new flight software version - FSW V1.0.3 - went OK today. We are running on the new software and later tonight we will perform some tests. Our close friend and colleague, Vicky Roloff, unexpectedly passed away last week. 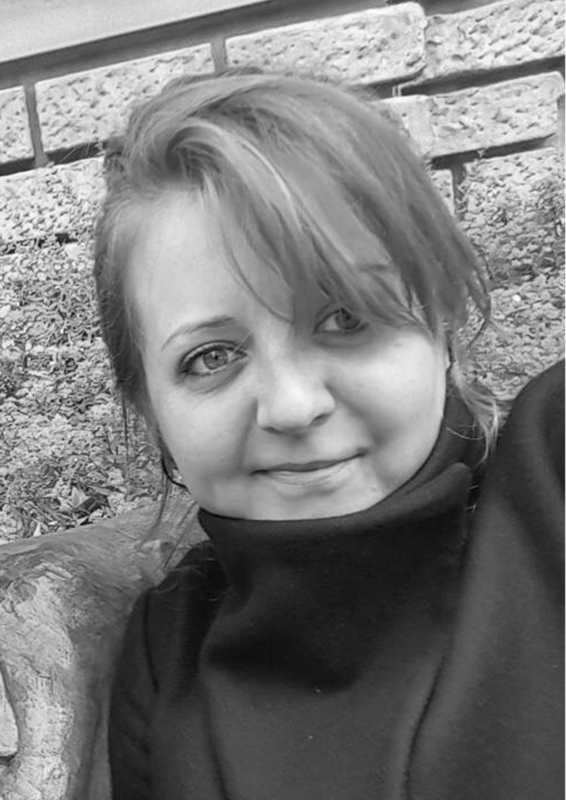 Vicky was a key member of the CaSSIS team in Bern and worked tirelessly for the project on instrument testing and calibration. She will be deeply missed by us all. 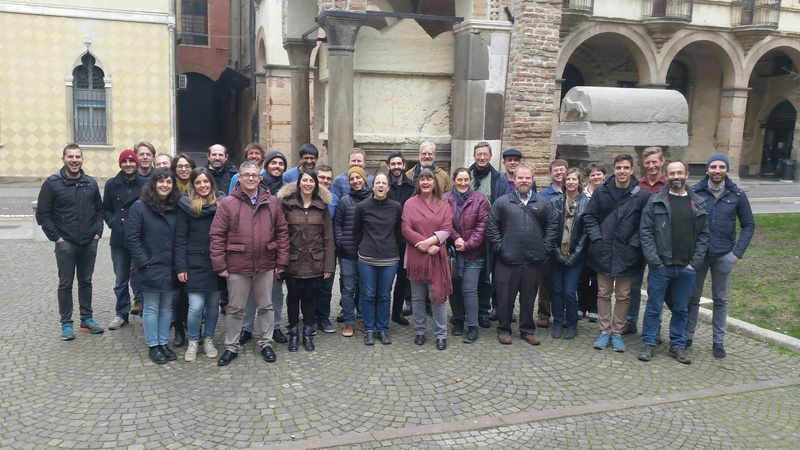 We held a team meeting in Padova (hosted by co-PI Gabriele Cremonese) where we discussed operations planning for the coming few months. Most of the attendees are here in the picture. 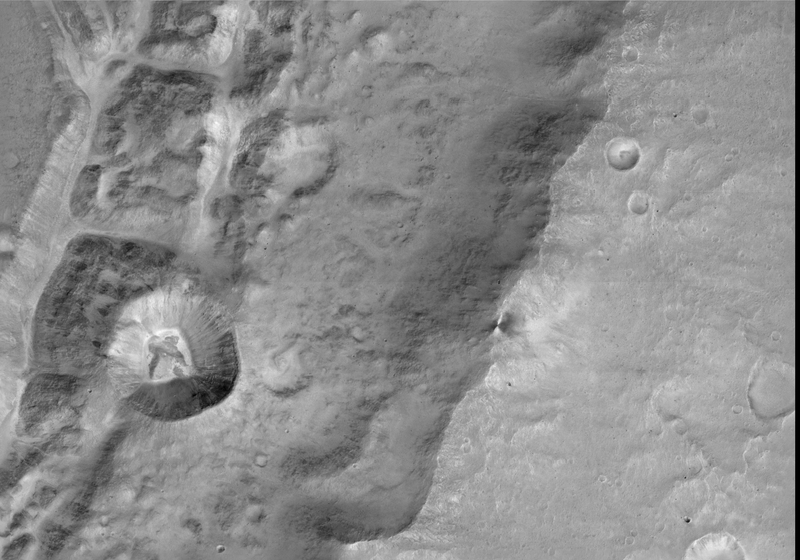 CaSSIS took an image of the flanks of Arsia Mons in November 2016. We have now corrected this data for full colour and some misalignments in the data. The result is quite spectacular and also shows evidence of cloud above the surface. This image was used as one of the Science Images of the Week by ESA in October celebrating the first anniversary of orbit insertion. 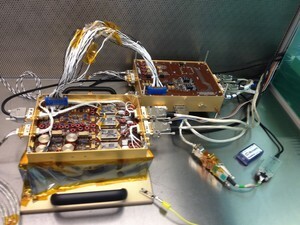 We try to verify our commands with a system that is similar to the CaSSIS instrument. We do that with our Ground Reference Model. It doesn't really look like CaSSIS but from an electrical and software perspective it is very similar. We can issue commands to it to check that we are not breaking the instrument when we send the commands to the spacecraft. We have just been informed that there is likely to be a further operation for CaSSIS from 5-7 March 2017. Until then we'll be cleaning up data and improving the calibration for release to the public in a few months time. Getting stuff into archives for a public release is a time-consuming job and neither ESA nor we have too much manpower to handle that but we had a meeting last week to try to define timetables that we can meet without killing ourselves.It's coming. 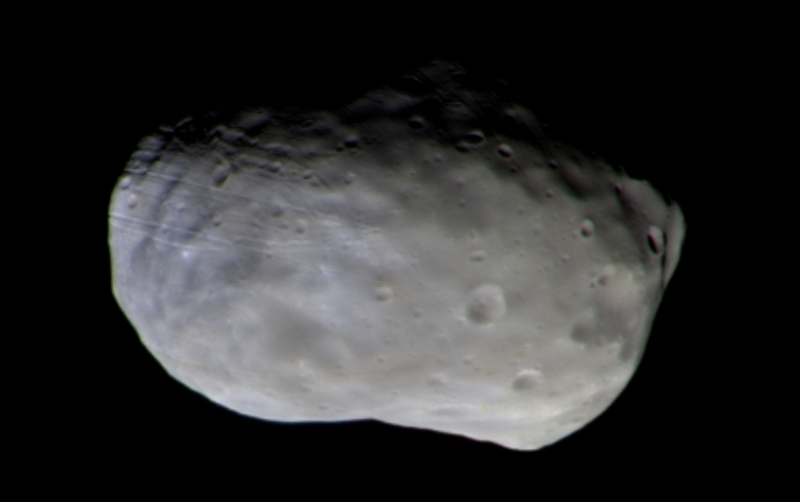 CaSSIS managed to get a stereo pair with colour coverage of Phobos during the operation on 26 November. Antoine Pommerol (UBE) and Ramy El Maarry (former UBE Post-Doc. and now LASP in Boulder) made colour views and anaglyphs. Here is the colour image which shows that Phobos is relatively blue close to the crater Stickney (which is just over the limb to the left). Be aware that this is false colour indicating relative colour. CaSSIS's filters are tuned for science - not human eye response. We have been working on improving the calibration of the first data. 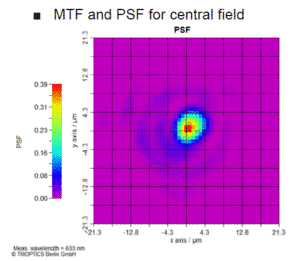 The so-called flat-field (the non-uniformity of the system and detector across the field of view) has been improved. 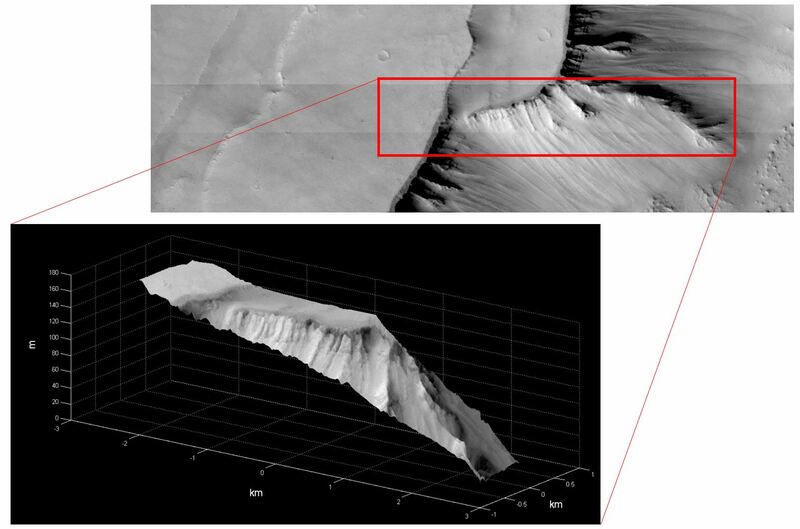 The image here shows a composite of Hebes Chasma (seen in the movie we made on the first weekend after data acquisition) after the improvements made. It is really hard to see where the individual images are and the dust particle on the filter has been almost completely taken out. More results from the first periapsis pass - Stereo! A pair of framelets from the first periapsis pass over Noctis Labyrinthus have been put together by our colleagues from the Astronomical Observatory in Padova (INAF) to produce a first 3D model of a surface. 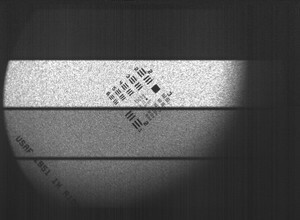 The images were acquired at about 7 m/px. After combination the vertical resolution should be better than 20 m and is probably a bit better than that. Thanks to Emanuele and Christina for their work over the weekend. 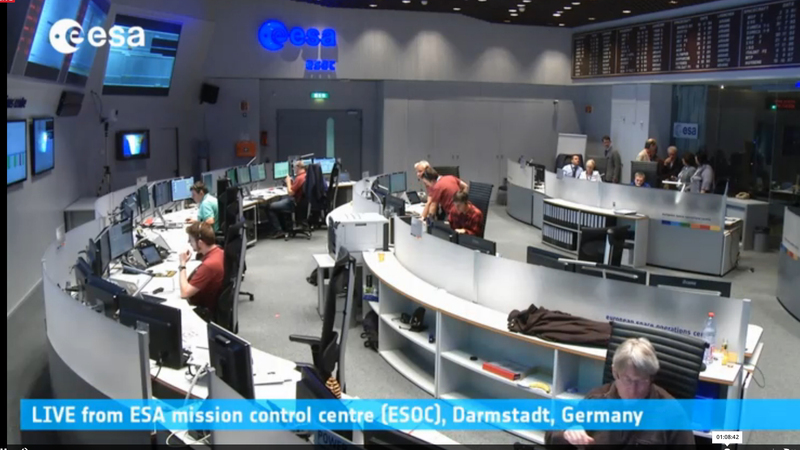 The control room at ESOC in Darmstadt where they will be watching over the Mars Orbit Insertion. Many of the guys in the picture are well-known to us through our regular meetings. Big responsibility for them coming. Good luck, everyone. We are just programming up our first observations for the Mars Capture Orbit phase. Just for fun, this is what one of the image acquisition commands looks like in our interface to ESA. CaSSIS was successfully upgraded to version 16 of the flight software. This sounds very boring but is actually pretty important. 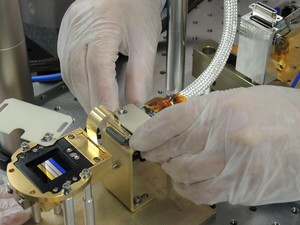 The previous version contained issues connected to the housekeeping telemetry. This telemetry was not being returned properly. Having fixed it, not merely does the CaSSIS team get better visibility of the instrument behaviour but ESOC in Darmstadt can see our housekeeping allowing them to alert us much more quickly if something is wrong. The image shows the output produced in real-time by ESOC's support computer. The TM was automatically calibrated to give real values. Why wasn't this correct in the first place? Misunderstanding of the protocols. 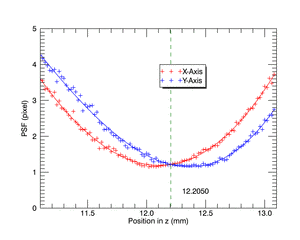 Two new technical papers about CaSSIS and its calibration have been put online. These papers were presented at the SPIE conference in Edinburgh. 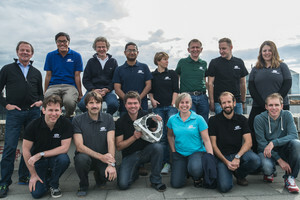 The Federal Council of Switzerland visited the Space Research Division of the University to view progress on Rosetta/ROSINA, CHEOPS, and ExoMars/CaSSIS. 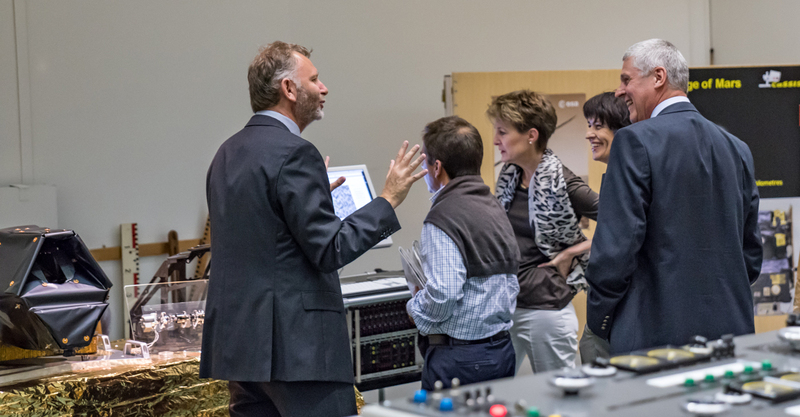 The picture shows the CaSSIS PI explaining aspects of CaSSIS and the CaST targetting tool to (left to right) Federal Chancellor Walter Thurnherr, Bundesrat members Simonetta Sommaruga and Doris Leuthard, and new Rector of the University, Christian Leumann. 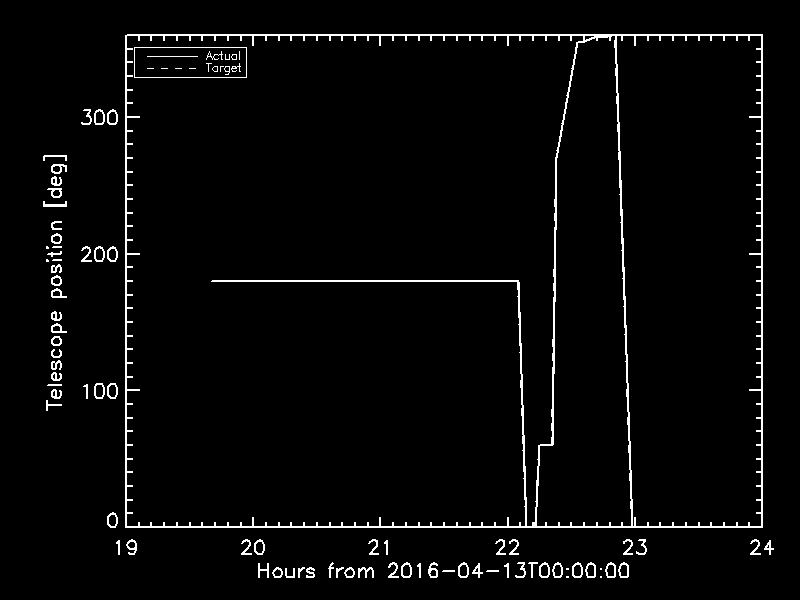 The rotation motor was tested on 13 April 2016 and it appeared to work. The plot shows the position angle of the rotation motor and it seemed to be OK. Homing was successful. Images were also acquired that confirmed the motor had moved. We are continuing to analyse this. During the first switch-on, we were able to see stars down to about visual magnitude 11 with CaSSIS in 2 second exposures. We were able to identify the starfield and name the stars using standard databases (SIMBAD). 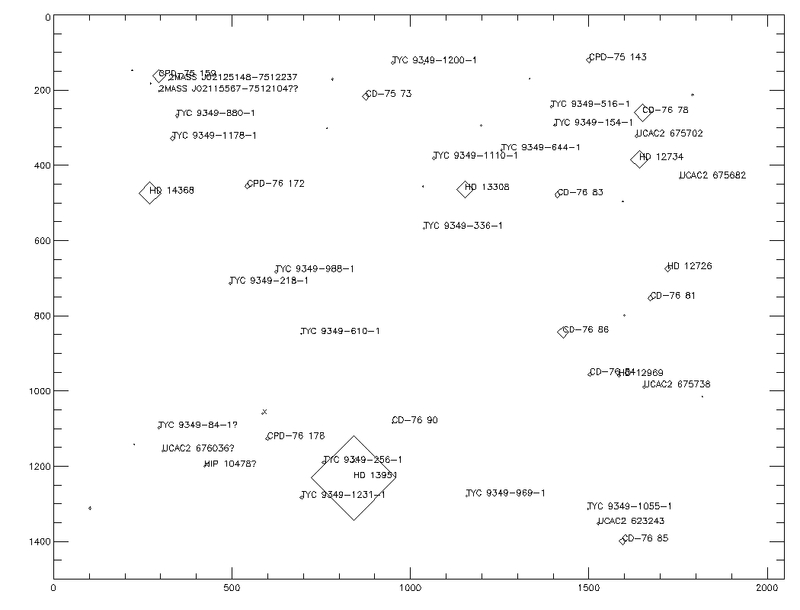 The plot shows the identified stars. The size of the diamonds is roughly proportional to the brightness of the star. The coordinates (x and y) give the detector positions for the stars. CaSSIS successfully switched on. Data were acquired. More to come in the next few days. 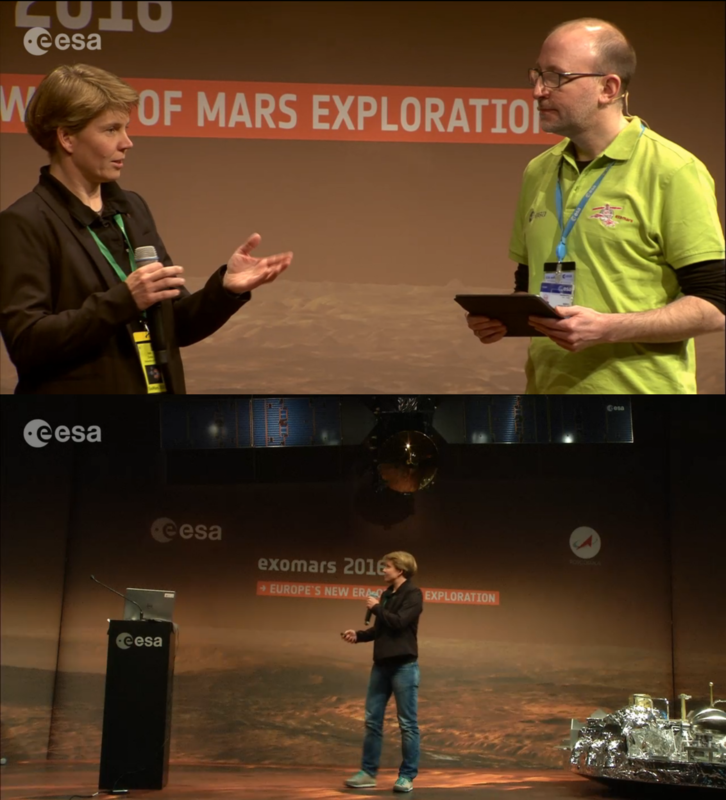 Our Project Manager Ruth Ziethe explains CaSSIS to the world @ESOC in Darmstadt, Germany. 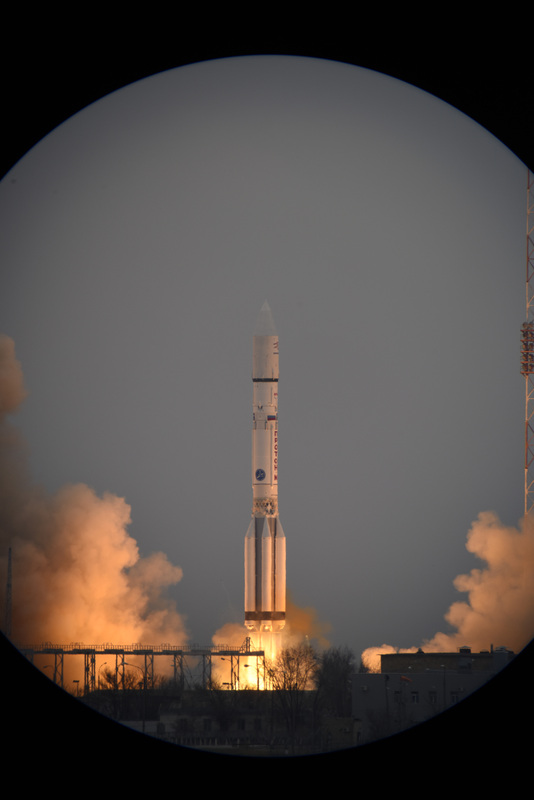 ExoMars with CaSSIS on board lifted off from Baikonur in Kazakhstan as planned at 09:31 GMT on 14 March 2016. Confirmation of spacecraft separation, solar array deployment and first acquisition of signal will follow in about 10 hours. 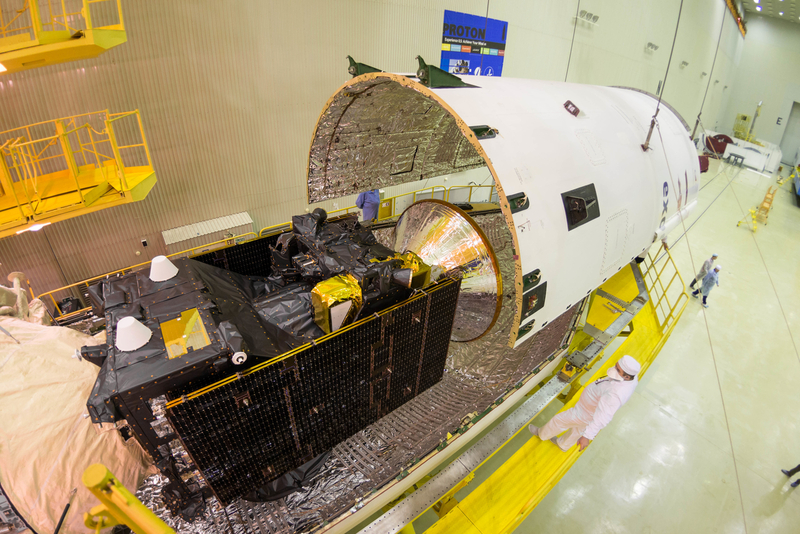 CaSSIS and TGO are now inside the rocket fairing ready for launch. 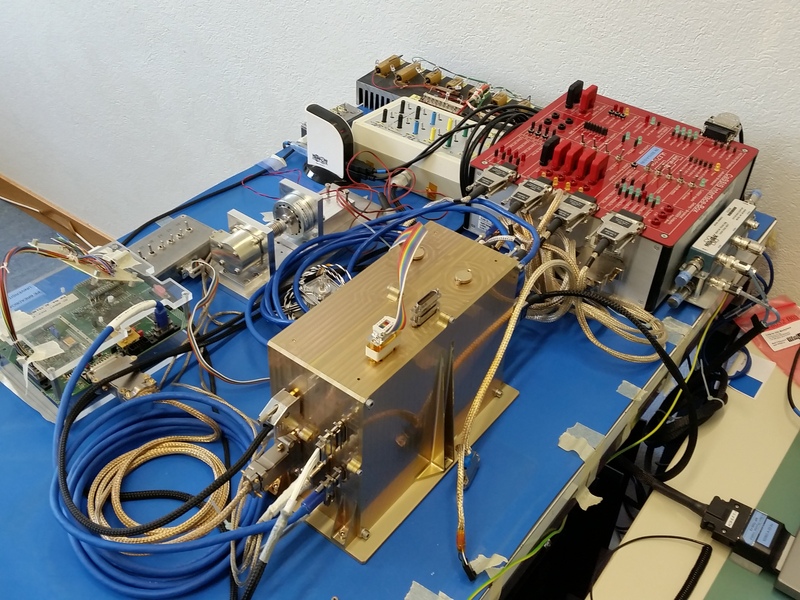 Electrical Interface Model (test bed for the spacecraft/instrument interface) updated with the latest version of the Flight Software. 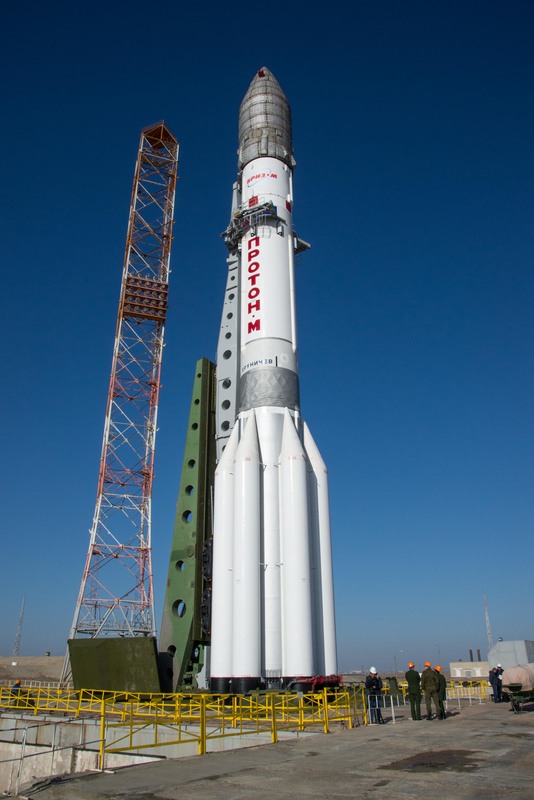 Commands delivered for the next System Verification Test in Baikonur. 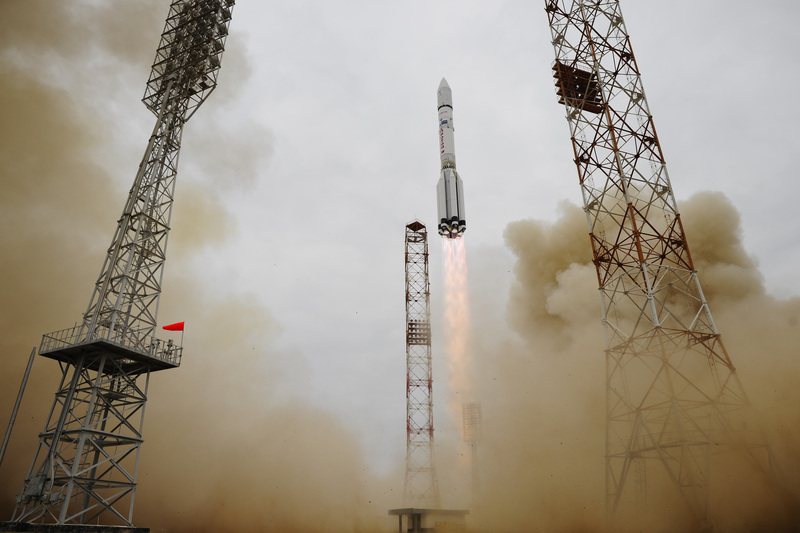 CaSSIS switched on in Baikonur. Seems OK but we need to check in detail. 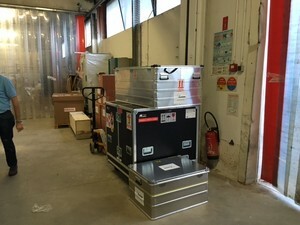 TGO has been transported to Baikonur. 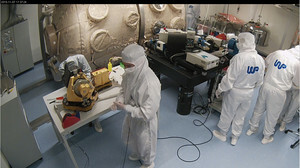 The System Verification Test (SVT) has been completed. CaSSIS commanded from Darmstadt by ESOC. 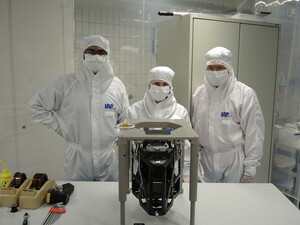 Instrument in Cannes on the spacecraft. We acquired 44 images and 1 incomplete image. Couple of bugs were found but it looks pretty good. Example image is below. Yes. It is dark. The aperture cover was on! 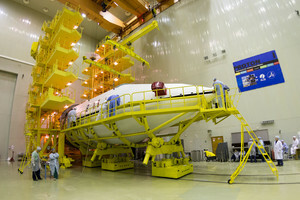 Press conference to show spacecraft is ready to ship to Baikonur. 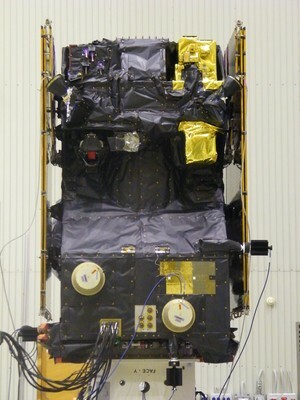 CaSSIS is now on the spacecraft!! No pictures ... not allowed ..... CaSSIS is on the spacecraft. The cans are in Cannes .... I feel a tune coming on. Packed and in the truck! ESA are just leaving after the Delivery Review Board meeting. The meeting closed with us being given permission to ship to Cannes!!! This is not acceptance to fly. That has to go through the flight acceptance review and we still have to justify some waivers and ..... stuff. But the truck leaves on Monday morning as planned. Metrology. Centre of gravity, mass and moment of inertia being measured. 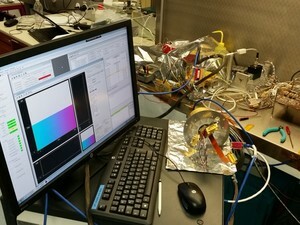 We have to check whether electronics components get too hot when they are run in vacuum. 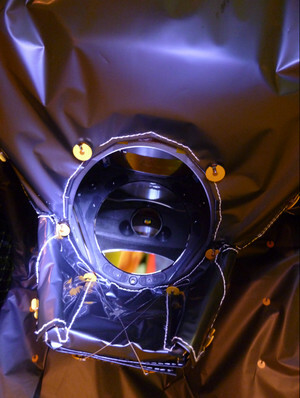 You have no air to conduct heat away in space and so things can get hot really fast. 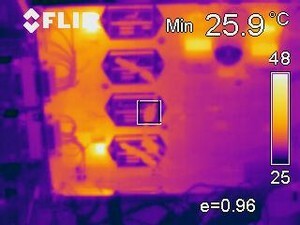 Our thermal IR pictures show that the heat sinks we are using to keep the power supply voltage converters cool work pretty well. 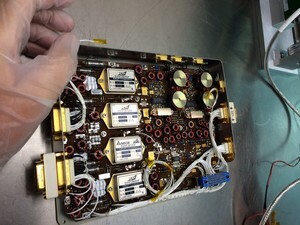 The electronics boards are coated and in their frames ready for final integration. However, first our Hungarian colleagues will arrive tomorrow for flight software debug. So we stay open for the moment just in case we have a hardware issue. PI in the lab! The hardware got a prime visit today. 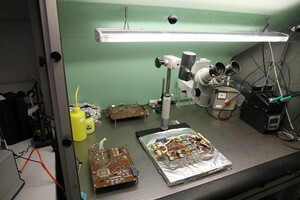 Inspection of the electronics boards by ESA completed. They are now in coating and will be integrated into the electronics box this afternoon. The flight model power converter module has just arrived. Our Polish colleagues from SRC, Warsaw, are here to supervise the integration with the other flight boards. We are not expecting major problems because they already delivered us an engineering board which is very similar. However, it has to be tested in the next 2-3 days. The integration team needed a break. Teams that work over the weekend require "support". 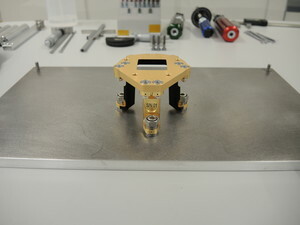 The interface plate has been attached to the tripod ready to mount the FPA to the telescope. Why do we need this? Well the telescope is carbon-fibre and the FPA is aluminium - so we have a mismatch in the coefficients of thermal expansion. 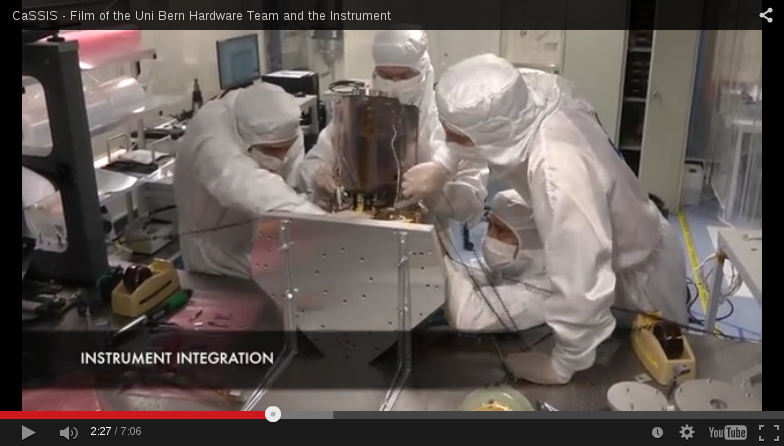 This hardware helps us solve that problem. 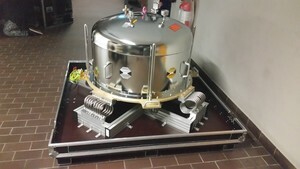 Telescope on the tower ready to be aligned with the collimator. 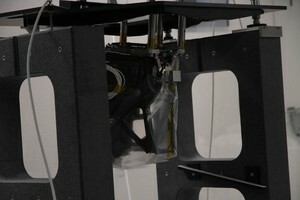 FPA is currently being integrated with its radiator and will go on the telescope for the first time on Monday morning. Here's a fun one. 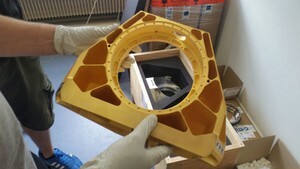 The focal plane assembly has a filter mask in front of it with 4 different coloured windows.